VAIO Corporation has announced a refreshed VAIO S business laptop, equipped with the latest 8th gen Intel processor. In addition it comes with something called VAIO’s TruePerformance technology that negates performance throttling induced by thermal emission. The new VAIO S laptop runs on Windows 10 Pro and packs an Intel HD 620 graphics card, paired with PCIe SSD storage for superior data transfer speeds, while an HD webcam with a CMOS sensor is there to handle video calls. The device packs a Lithium Polymer battery which is claimed to provide a battery life of up to 8 hours and 45 minutes. When it comes to ports, VAIO’s S-series laptop is well-equipped by all means, thanks to three USB 3.0 SuperSpeed ports and one HDMI, VGA, Network LAN and headphone/microphone jack each. Hardware specifications aside, the new laptop also tackles another issue i.e. performance slowdown caused by heating. Since performance throttling is a direct outcome of poor heat management system in a PC, the issue is even more pronounced in ultrabooks which don’t have the luxury of powerful thermal vents. 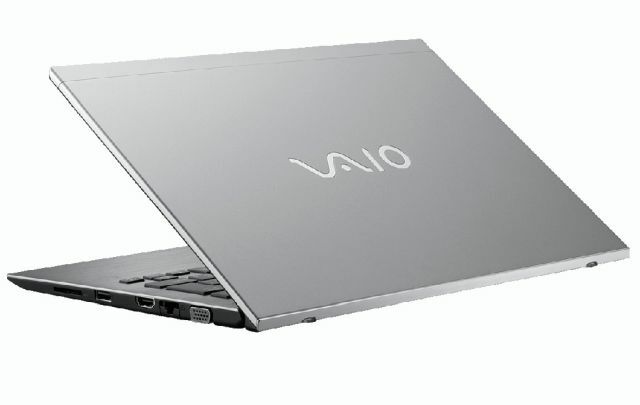 VAIO has developed a new technology called TruePerformance that avoids performance dips caused by thermal throttling, and has equipped it with tech to maintain high performance levels during prolonged usage without any slowdown or lag. The new VAIO S-series models start at $1,199 and will be available from VAIO’s online store in the United States, however, details about its international availability are not known.